While Salvador Dalí never took a stance on the paranormal or much less UFOs, his surrealistic work has often wound up on the cover of books and magazines on the subject. "Soft Construction With Boiled Beans" - depicted here - was used by Editorial Posada's DUDA magazine to ilustrate "Ellos sabían el momento de su muerte" (They Knew When They Were Going To Die) - an article on a Royal Air Force pilot stationed in Egypt who was cursed with the ability to forecast the deaths of each member of his squadron. 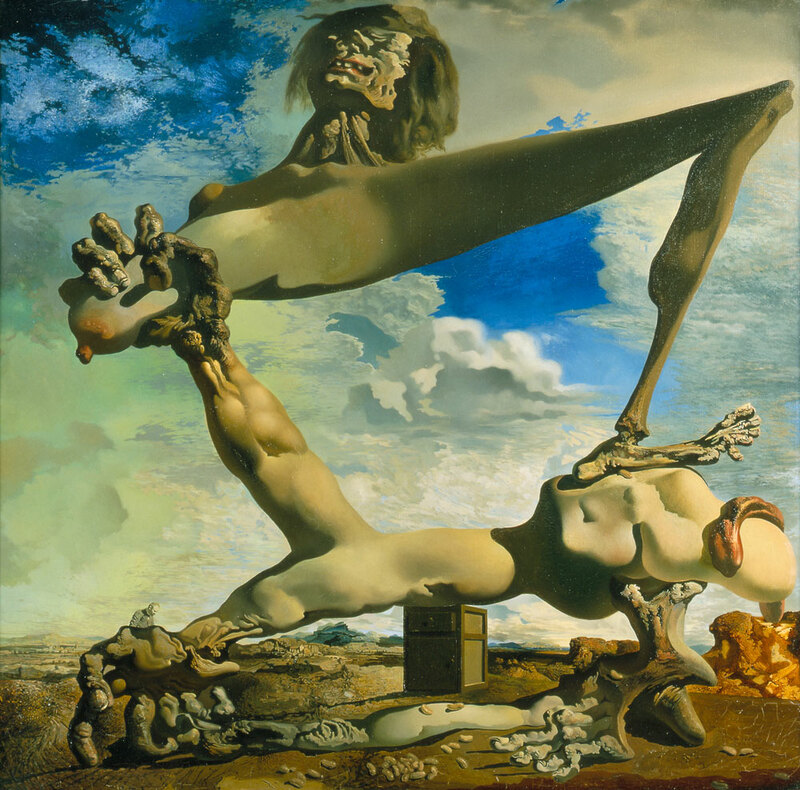 Dalí was born on this day in 1904.